NYC’s Top Rated Driving School! Grand Prix Driving School offers auto driving instructions, MV-278 Hour pre-licensing course and road tests and services for all ages and driving experience levels. Our driving instructors are highly experienced to insure your driving success. Huge, modern classroom with comfortable seats. Grand Prix Driving School offer a number of classes during the week and on Saturdays with late night hours to fit your schedule. Our driving academy is conveniently located just 2 blocks from the R, N, 6, 4, 5 subways. 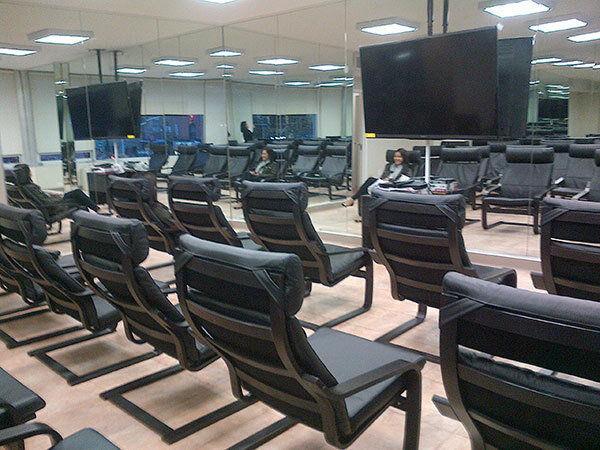 Huge, modern classrooms with comfortable seating for MV-278 5 hour pre-licensing course. Grand Prix Driving School is a family-owned business that has been providing safe driving instructions to New York residents since 1991. Our mission at Grand Prix Driving School is to teach students first-class driving techniques to enable them to become safe, smart drivers. No two people are identical, so we have created a unique variety of driving instruction packages. Each package is completely customized to the student’s specific needs and designed to enhance his or her driving skills without compromising quality or the educational experience. From the educational classroom setting to hands-on, behind-the-wheel learning, our New York State DMV approved driving school can help everyone get their licenses safely and swiftly. If you have questions about any of of the services we offer or need help deciding which program is right for you, please call our staff or fill out the form below. Our team is happy to help you get set up, signed up and on the road! Approved by the NYS DMV to provide driving education.